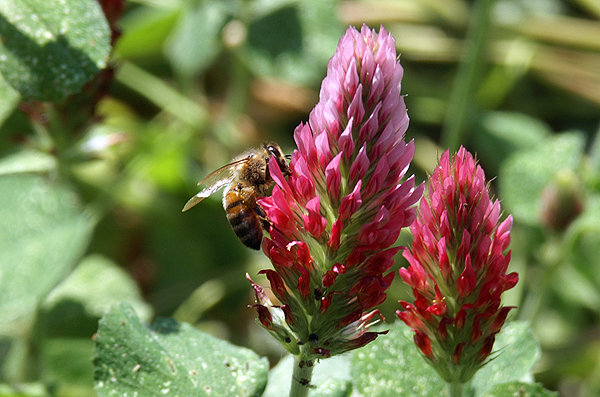 Red Clover is one of the first mass blooming in the spring in North Florida. The bees just love the clover. You can stand in the clover and watch different types of bees hurrying from blossom to blossom. This entry was posted on Monday, July 16th, 2012 at 6:11 am. It is filed under Animals / Wildlife, New Images and tagged with blooming, green, honeybee, nectar, pollinate, rec clover, red, spring.flower. You can follow any responses to this entry through the RSS 2.0 feed.